A FIRE on a North Sea ferry which sparked a major rescue operation when it was carrying around 1,000 people was started by a drunk passenger who was smoking cannabis in a cabin, a court has heard. Boden George Hughes, 26, admitted arson being reckless as to whether life was endangered, during a brief hearing at Newcastle Crown Court, where his trial had been due to start. The fire on the DFDS Newcastle to Amsterdam service happened at around 11pm on December 28 when the vessel was 30 miles off the North Yorkshire coast. Six people were winched off the ferry by the RAF and helicoptered to hospital. Hughes, who also admitted affray, pleaded guilty to arson on the basis that he was drunk, was smoking cannabis in a bong, and the fire started when his lighter’s flame set a pile of clothes ablaze. He had altered his lighter so it produced a constant flame, he claimed. Judge James Goss, the Recorder of Newcastle, will sentence Hughes, of Fulwell Road, Sunderland, in September. Hughes was remanded in custody and warned to expect a lengthy prison sentence. Judge Goss said: “Be under no illusions as to the seriousness of the crimes you have admitted today. Ian Lawrie QC, prosecuting, said figures will be produced at the next hearing to show the losses incurred by DFDS after the fire. He said the helicopter rescue alone cost £50,000. After the terrifying experience of a fire and rescue operation miles out to sea, Hughes’s fellow passengers faced the frustration of returning to Newcastle. Passengers hugged family members in relief at the ferry terminal when they were finally allowed off, with some vowing never to sail again. Julie Bell and Shaun Richardson, from Washington, Tyne and Wear, were on a weekend away. At the time she said: “It was like a scene from a movie, a chaotic mess, horrible. The King Seaways vessel was carrying 946 people at the time, plus crew. RAF helicopters from Leconfield near Hull and Boulmer, Northumberland, were scrambled to the vessel along with RNLI lifeboats from Bridlington and Filey. TWO ‘reckless yobs’ who pushed lit firelighters through the letterboxes of four homes have been jailed. 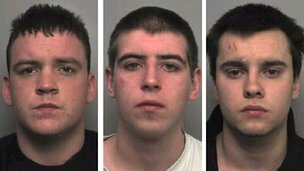 Simon Cockerill, 26, and Ethan Hesketh, 21, went on the arson spree in Mill Hill, Blackburn, as people were asleep. 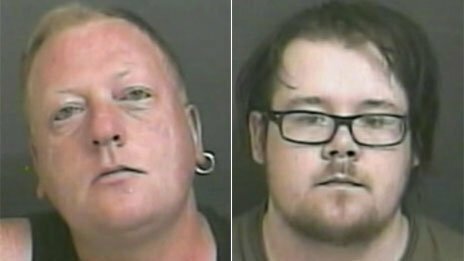 Police said the pair, who committed the crimes while ‘fuelled with alcohol’, put lives at risk by their irresponsible behaviour. 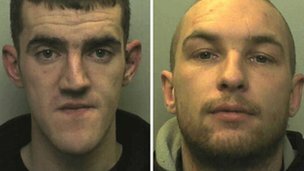 They were each jailed for 18 months yesterday after pleading guilty to theft, committing arson recklessly and arson. Four front doors in Hollin Bridge Street were torched in the early hours of June 23. Cockerill, of Whalley Road, Clayton-le-Moors and Hesketh, of Hozier Street, Blackburn, were arrested after being captured on CCTV at Lock Mill Service Station, in Bolton Road, Blackburn, before they stole the firelighters used in the attacks. Police said the arson attacks had been ‘potentially extremely serious’ and it was lucky that no-one had been hurt. DC Mick Ingram from Blackburn CID said: “Both Cockerill and Hesketh didn’t think about the potential consequences of their actions. They put people’s lives in danger and it was fortunate that no one was seriously injured. “It was a reckless and irresponsible act which was fuelled by alcohol and I hope this sentence sends out a warning that this type of behaviour will not be tolerated. In Hollin Bridge Street residents hit out at the pair. Police said that the unique nature of the incident was now used in internal training sessions by the fire service and police in Lancashire to highlight good working practices. I’ve put together a list of all the various members and supporters of the English Defence League, Scottish Defence League and The Infidels who will be spending Christmas Day in a cell somewhere. It doesn’t include Mark Sleman who is on the run after been recalled to prison, people who been sent to prison and done their time this year or those on remand. I’ve no doubt that some have been missed but even as it is, over 50 members of a “not racist and not violent” organisation are in prison for racist and violent crimes. The text in bold links to the news article about the jailing. Happy Xmas or whatever you celebrate. Ceronne, a former security guard of Redwood Close, Gloucester was arrested later that evening, while Juggins was still a passenger in his Peugeot, on suspicion of drink driving and when he failed to supply a specimen for breath analysis. Hours later Juggins was later stopped in Barton Gate after police officers thought he had thrown something in a road and he gave them the fake name of Bob Marley. Mr Coombes said in interview Juggins said he and Ceronne had spent the evening before “shouting abuse at Muslims” as Ceronne “did not like Muslims”. He added research showed his name and address on the British Union of Fascists, a group that styles itself on the organisation banned in the 1940s. 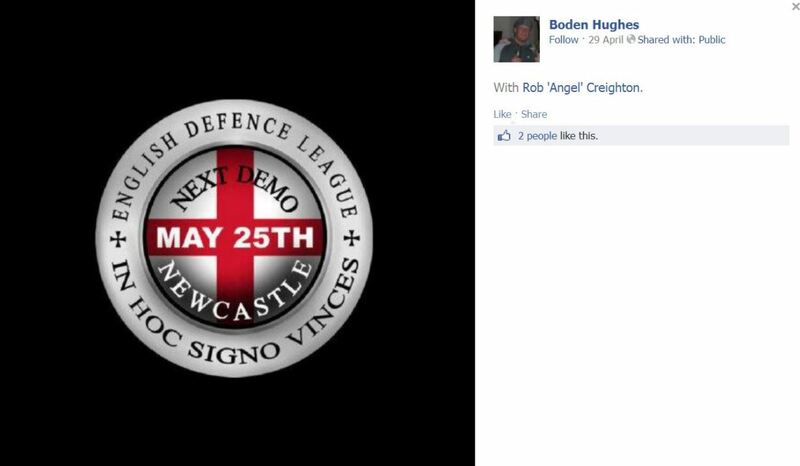 On the New British Union website he claimed to have been involved in “far right cults, including the EDL” and was listed as the Gloucestershire district officer for the organisation. Both pleaded guilty to arson being reckless as to whether life was endangered. The arson came in the wake of the death of Drummer Lee Rigby, who was killed on May 22 in what is believed to have been an Islamic terrorist attack. The fire at the mosque in Wivelsfield Road, Haywards Heath, was started at about 02:10 GMT on 13 February. Police believe the attack was a religiously-aggravated hate crime. Ch Insp Jon Hull, district commander for Mid Sussex, said: “The mosque was occupied at the time this fire was started and it could have had devastating consequences if it hadn’t been put out quickly. 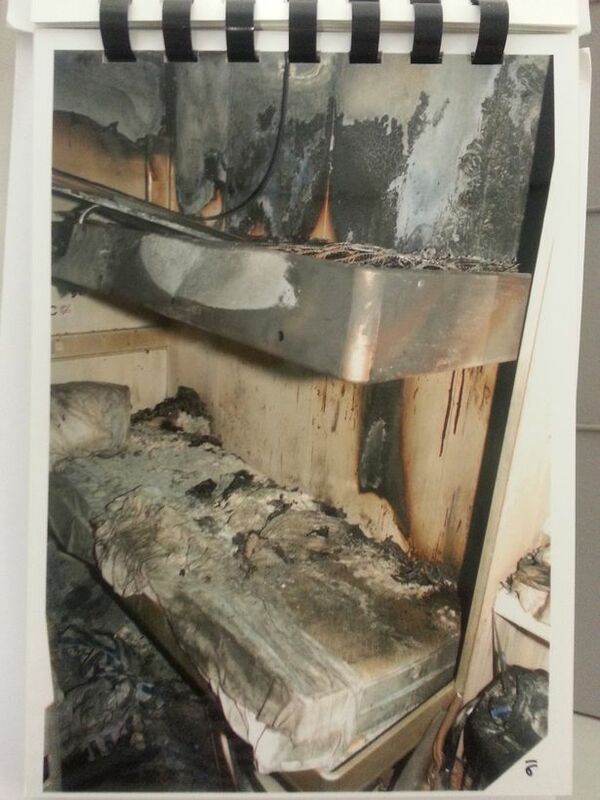 “Thankfully only damage was caused to the building. Ex-soldier Simon Beech, 23, and Garreth Foster, 29, both from Stoke, were found guilty of setting fire to Hanley’s Regent Road mosque on 3 December. Paul Spratt, prosecuting, told the jury of five men and seven women that police had been able to establish that Beech “felt very strongly about Muslims” after accessing his Facebook account. When giving evidence in his defence Foster told the court: “I have always personally got on well with Muslims. Speaking after the verdicts were delivered, Rana Tufail, a member of the mosque committee, said it was “difficult” to describe the arson attack. He said: “It is a community project. “They have put their soul into it. They have put their earnings into it and they [Beech and Foster] tried to destroy it. Ch Supt Bernie O’Rielly, from Staffordshire Police, added that he had no doubts that the pair’s intention was to “blow the mosque up”. “Without doubt that would have caused hate in the community, division in the community and broken down all the cohesion and good work we do,” he said.